A rare gem of an album, this stunning SF private press record was originally released in 2010 and has been out-of-print for almost two years. This 2015 pressing (on the newly reactivated LUNA music record label) has been remastered by James Plotkin from the original tapes and was lovingly pressed at Gotta Groove—with hand-screened jackets, printed by Mile 44. GRAB ONE OF THESE NOW AND RECEIVE A FREE, AUTOGRAPHED (BY BEN!) JACKET! 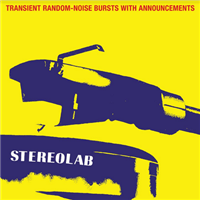 Fear of Pop is an experimental recording project by Ben Folds and Caleb Southern (Ben Folds Five's long time producer) along with John Mark Painter (of Fleming and John), William Shatner and others. Peak edition pressed on magenta and blue swirl vinyl! Foxwarren's backstory reads like a page torn from the manual of rock & roll authenticity. They are siblings and childhood friends who formed a band in college. They went on to live as roommates and recorded an album in the basement of a rented house. Even the band's namesake comes from the brothers (Avery and Darryl) Kissick's family home. The band's self-titled debut is subtle and thoughtful, it draws parallels to frontman Andy Shauf's solo work while leaning on collaboration and looseness rather than Shauf's meticulous arrangements. Where Shauf leaves space for orchestration, Foxwarren take time to ruminate on passages and themes. Propped up by warm driving rhythms and a familiar voice, and colored with soft electronics and coarse guitars, Foxwarren is a record that ultimately hinges on sincerity. 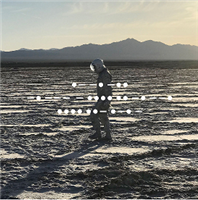 A Bath Full of Ecstasy is the group’s definitive release, crystallising the sound they’ve become celebrated for – bridging euphoria and melancholy with colourful melodies, idiosyncratic vocalisations and pounding electronic pop rhythms. Kelly guided the songs on ‘The Tales People Tell’ from their conception all the way to the record pressing plant over the course of two years. He wrote and produced each track on the record and plays 10 instruments throughout, while enlisting the help of friends and legends like drummer James Gadson (Bill Withers, Marvin Gaye, Beck), members of Monophonics, and Kelly’s own father, prominent sideman/keyboardist Mike Finnigan (Jimi Hendrix, Joe Cocker, Etta James). The result is a timeless collection underscored by a sense of community, a family affair of a record that’s at once raw and gritty, tender and emotive, lush and symphonic.LP is packaged in high quality Stoughton Tip-On gatefold jacket, LP stored in Mobile Fidelity anti-static innsersleeve, includes a download card, and a lyric sheet insert. Pressed at Gotta Groove Records in Cleveland, OH. Animal will be pressed on two blue colored LPs! OUR COPIES ARE SIGNED BY RICHARD EDWARDS! Not Animal is pressed on two pink colored LPs! 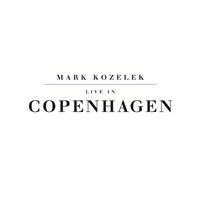 LIMITED EDITION of this beautiful live set from Mr. Kozelek! This. This is what it is ALL about, when you've been in the game for over 30 years--it's working with friends! 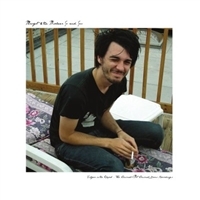 Recorded by Jeff Dupont--this vinyl-only release (with no download) was cut-for-vinyl by the legendary John Golden and pressed in an edition of 300 copies! This stunning package also features illustrations and layout by BrainTwins, that have been printed on 24pt. reverse board--for the complete 'Zuma'. This is the black vinyl version! 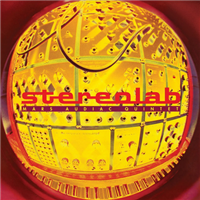 Duophonic UHF Disks presents remasters of Stereolab's 'Switched On' series. Pressed on clear vinyl! Each album has been re-mastered from the original 1/2" tapes by Bo Kondren at Calyx Mastering and overseen by Tim Gane. Bonus material will include alternate takes, 4 track demos and unreleased mixes. Patrick Stickles taps into the heart of '77 punk, glam, pub & classic rock for what may be the most rocking & straight-to-the-point album they've ever made, Bruising guitar licks & heartworn pop hooks steer the ship for a tight 40 minutes of classic rock 'n roll sounds; and who better to have assisting you in a journey like that than a master craftsman like Bob Mould (Husker Du, Sugar, etc)? Mould produced the album, guiding them over breathless sessions at Steve Albini's Electrical Audio, An Obelisk presents the sound of Titus Andronicus, rock band, at its most irreducible, as monolithic as the album’s titular monument. Peak vinyl pressed on half gray, half black vinyl!